You shop — Amazon gives. By using the https://smile.amazon.com/ instead of https://www.amazon.com, Amazon will donate 0.5% of your spending to the charity of your choice! Nothing else about your experience changes. You can use your existing account (or create a new one) and you’ll find the exact same low prices, wide selection and convenient shopping experience. No special sign-ups required! 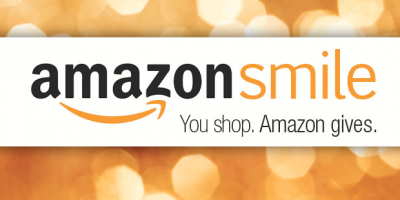 Before you start shopping, visit https://smile.amazon.com/ and select “Columbus Arts Council” as your designated charity for the AmazonSmile program. See below for the step-by-step. Visit https://smile.amazon.com/. Under “Pick your own charitable organization”, type “Columbus Arts Council” and click “Search”. Click the yellow “Select” button next to “Columbus Arts Council”. Check the “Yes, I understand that I must always start at smile.amazon.com to support Columbus Arts Council” and click “Start shopping”. All done! Now anytime you purchase from smile.amazon.com, a portion of your purchase will go to Columbus Arts Council! Kroger donates a portion of what you spend at Kroger to your Community Rewards organization. We are asking all of our friends who shop at Kroger to consider directing their Kroger Community Rewards to the Columbus Arts Council. Please reselect us every January as it expires at the end of the year. Please click the picture below for instructions.